Since its launch in 2012, Archivo Diseño y Arquitectura has established itself as Mexico City’s leading exhibitions and research hub for design and architecture. Founded by the architect Fernando Romero and his wife Soumaya Slim, the gallery boasts an unlikely collection of 1500 everyday design objects from the 20th century. Now, its equally unique library also becomes accessible to the public, thanks to the opening of a new reading room designed by Fabien Capello. The French furniture and product designer worked with local artisans to create a set of custom lounge chairs, whimsical handmade lamps, shelves and beautiful stained glass windows, creating a cosy space (15 sq m, precisely) to be enjoyed in the company of books. 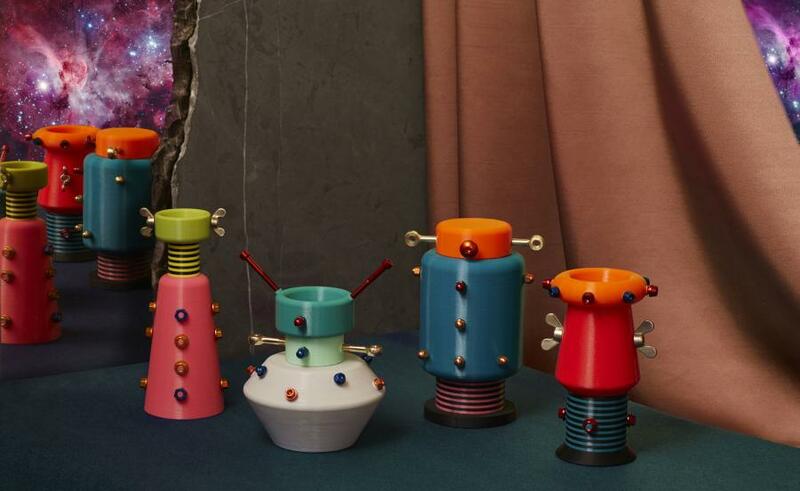 Italian industrial designer Alessandro Zambelli has introduced a group of subtly anthropomorphic, robotic forms – collectively titled ‘Macrocosmos’ – to his product library. While the series is heavily indebted to the aesthetics of low-tech vintage sci-fi (think Button Moon or Mystery Science Theatre 3000), Zambelli himself says that they ‘internalise the geometric perfection of a magnifying glass over the animal micro-universe, mixed with the vivid, energising hues of plant life’. That rather impenetrable concept is manifested in adorable household vases and vessels as otherworldly as they are warmly familiar, all drawing on the historical toy making industry of the village where Zambelli lives. Lanserring have launched its inaugural kitchen concept, inspired by John Tradescant the Elder – a 16th century English botanist, traveller, collector and creator of the cabinet of curiosities. The bespoke models meld a flurry of different materials from the company’s Austrian craft heritage (they also took part in Wallpaper* Handmade earlier this year). Think a natural walnut cabinet paired with a 16th century vitrine, or an oilcloth island inspired by surfaces from the middle ages with a decadent stone and polished metal sink block that is reminiscent of a butlers sink (pictured) – the designs are both eclectic and pleasingly surprising, suiting for a magnitude of sophisticated living spaces. Today marks the opening of Carhartt WIP’s new Kings Cross location. The apparel brand taps British designer Faye Toogood for the raw interiors that nod to the brand’s ‘rugged utilitarian’ culture seen in their ‘Work In Progress’ (WIP) ethos. 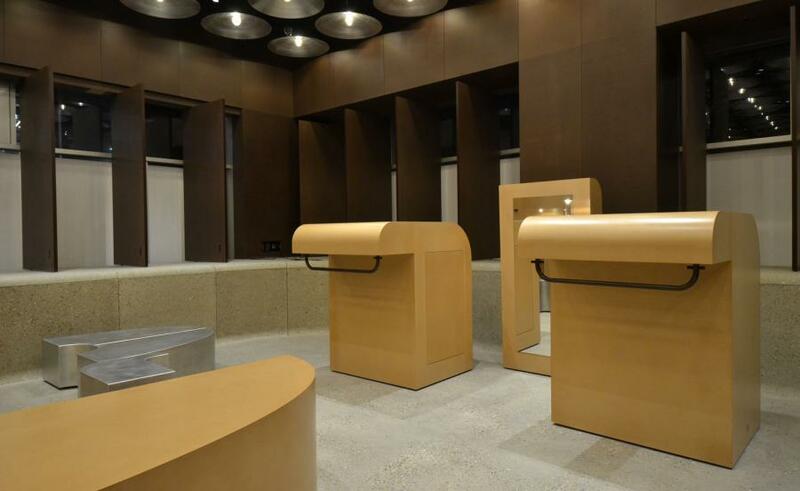 Cold concrete flooring merges with a moody brown canvas that coats the walls. This base is paired with exposed, moveable fixtures – brass, beige wood and black mesh is noticeable across the space – a further reflection of the WIP motto. To coincide with the store opening (the fourth Carhartt WIP in London), LAW Magazine has curated an exhibition celebrating the 100th anniversary of the Carhartt Chore Coat in the space. At the Type Archive in London, Monotype has unveiled its latest typeface revival project – The Wolpe Collection. An exhibition of archive material celebrates iconic uses of the typefaces designed by German typeface designer Berthold Wolpe more than half a century ago and introduces the revived typefaces of Albertus Nova, Wolpe Fanfare, Wolpe Pegasus, Wolpe Tempest and Sachsenwald that have been restored for the digital era by Toshi Omagari of he Monotype Studio. After closely studying Wolpe’s original drawings and designs, Omagari brought in new weights, alternative characters and expanded language support, so the families of typefaces are now equipped for modern use. 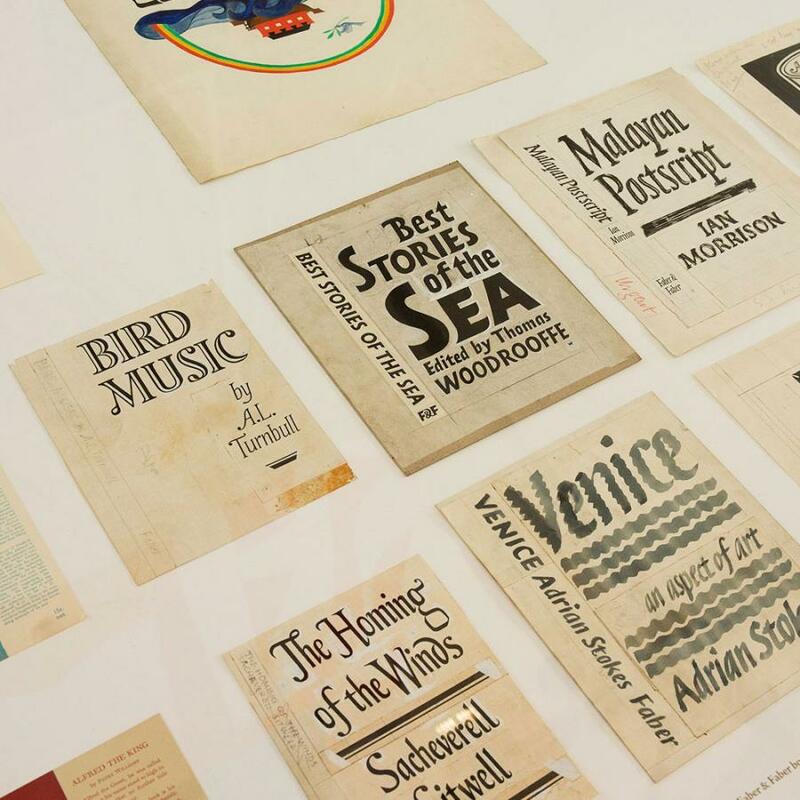 The original Wolpe typefaces have been used across the decades on the printed ephemera including book covers, film posters and albums covers from luminaries like David Lynch, Paul Klee, Ted Hughes and David Bowie. Until 5 December. Canadian brand Bocci has always stood out for its opulent yet contemporary spin on design. 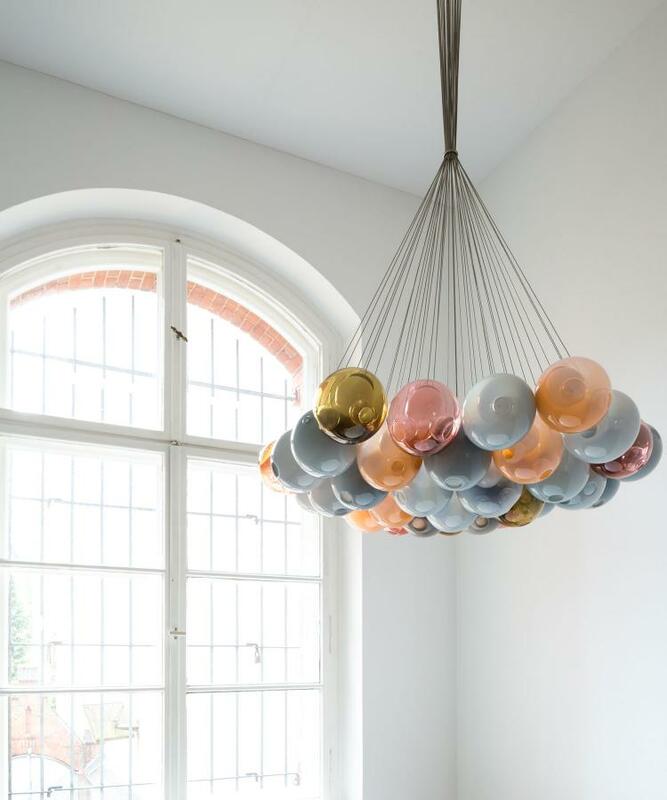 It was this time two years ago that the brand’s creative director, Omer Arbel, opened the first showroom in Berlin to display the experimental works in all their glory. To celebrate the occasion, Bocci has now opened a new exhibition of its key pieces in the former 19th century courthouse space. Titled ’79 Reopening,’ the project merges large scale installations from Salone del Mobile this year, with new sculptural works to show the sheer breathe of innovation that the brand represents. Spanish design agency Masquespacio looked back to the 70s for inspiration for their playful collection of furniture for Houtique. The sunshine yellow chairs, sofa, high stool and table are made up of different arc shapes (as the name of the collection ‘Arco’ suggests), to create the geometrical and whimsical structures. The materials are fun too: the tubular metal is paired with a powder pink velvet on the seats for an even more retro feel. There are few things we like more than having the best of both worlds. The New York-based accessory label Good Thing gets this and has paired up with five brands it knows and loves on a line of limited edition gift bundles to ensure that each of its recipients receive the full package. Working with a selection of its bestselling items, Good Thing has matched goods such as Baggu’s reusable tote bags with its Seed shelf and hooks, Verve Coffee Roasters’ signature blend to fill its double-walled Twin carafe, Jasper Morrison and Naoto Fukusawa’s Supernormal tome, published by Lars Mueller Publishers, to fit in between its Slim bookends, a Redwood scented candle from Californian makers Boy Smells to stand on the Frank tray and ban.do’s graphic stationery (pictured) to make full use of its Paper Display holder. Now that’s a well thought out gift, through and through. 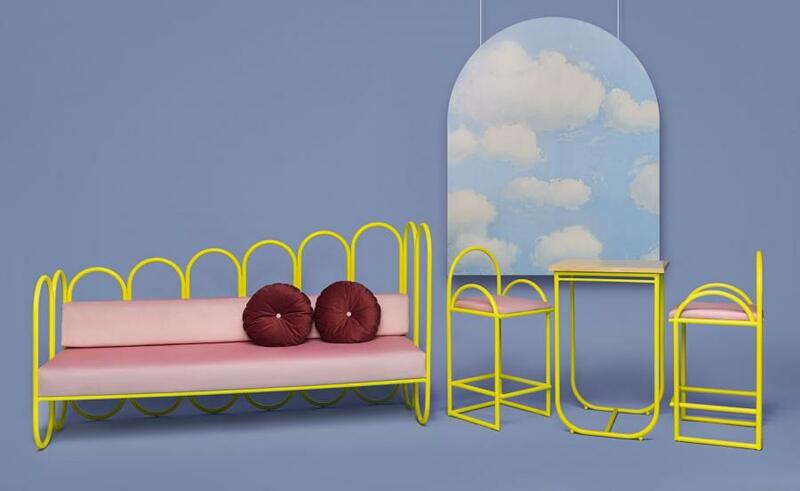 Two stylistic visions come together at Milan’s Showroom ALPI this month, in a story of material and creative connection. 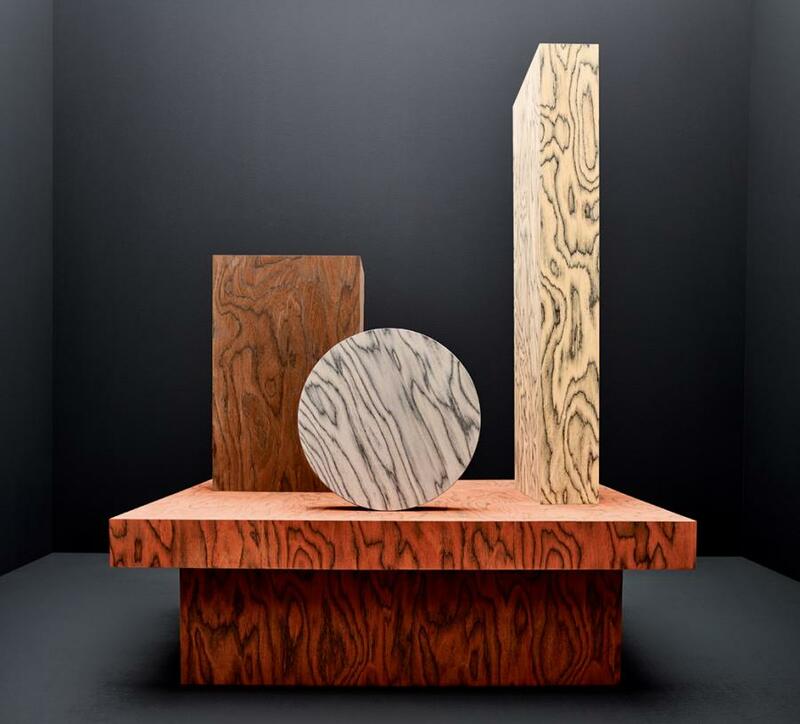 The Italian wood specialist has released a new edition of its ALPI Sottsass collection, recapturing the manipulated wood surfaces produced by Ettore Sottsass in the 1980s, alongside a trio of new furniture pieces created by Martino Gamper, made using Sottsass’ original design. Famed for its signature veining and vibrant colourways, the wood acts as a canvas for Gamper’s contemporary structures – a cabinet, a room divider and a shelving system. ‘Re – Connection’ continues until 30 October. When your list of past clients includes Napoleon and Lord Byron, you know you’re probably doing something right. Pineider, now one of Italy’s favourite stationery brands, was founded in Florence in 1774 by Francesco Pineider, who had a flair for experimentation – his early work featured advanced printing techniques, typeface design and complex embossing of emblems and monograms. Italy’s contemporary creative elite still turns to Pineider today for its paper, pens and leather goods, and this year the brand is undergoing a major makeover that merges its two and a half centuries of expertise with a more contemporary aesthetic. 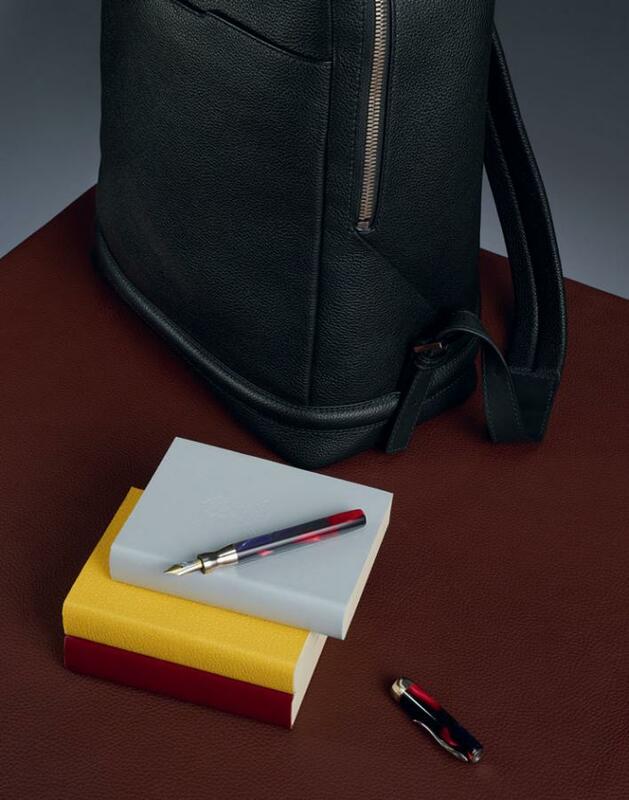 The brand’s new range of leather goods are finely crafted from Italian, drummed, fine-grained calfskin (with some special pieces made of alligator skin), and include a duffel bag and backpack with an angular silhouette, alongside small essentials such as a travel organiser, wallets and notebook holders. leather recurs, with different grains and contemporary hues on the covers of the brand’s sturdy notebooks, and the brand’s new series is topped off by a new writing instrument called La Grande Bellezza. A refined and technical pen, it features a goose-quill nib in 18 carat gold and a marbled resin body, and is set to become the new staple of well-tailored pockets. 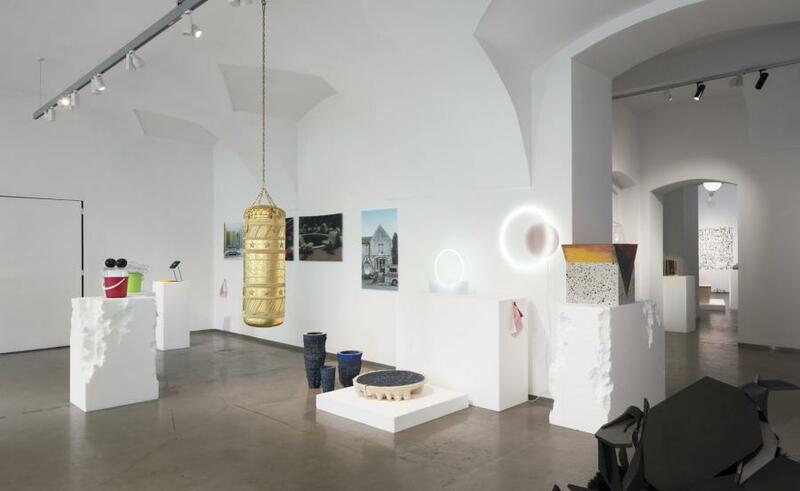 Works from the likes of Atelier Biagetti, Olafur Eliasson and Arik Levy have come together at the exhibition ‘5 Years of Art of Design’ at Kvalitář Gallery in Prague. ‘These fields are developing separately, despite the fact that they exploit similar principles and strategies,’ explain curators Monika Čejková and Adam Štěch. 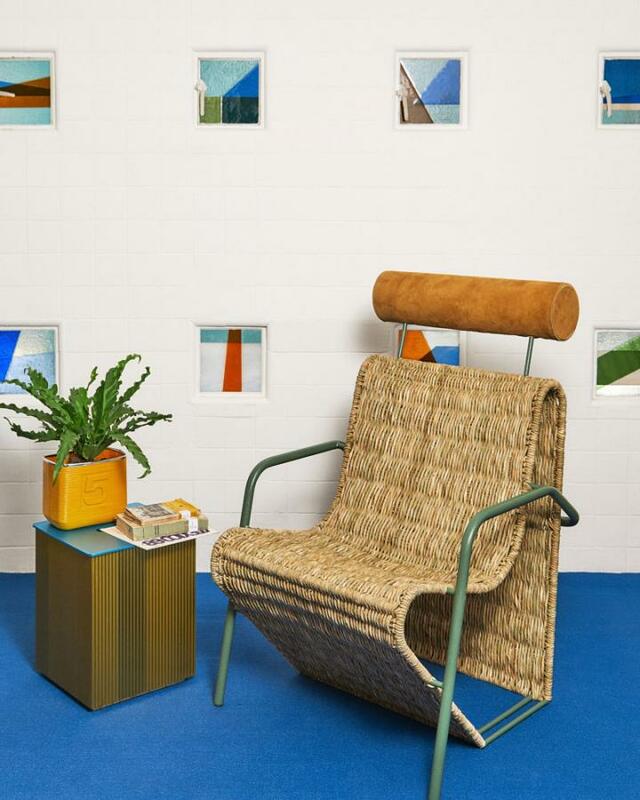 The displays spans artists who dabble in design, like Shawn Maximo and Toiletpaper magazine, to designers whose products have an artistic bent, such as Sabine Marcelis and Martino Gamper. Until 22 November. 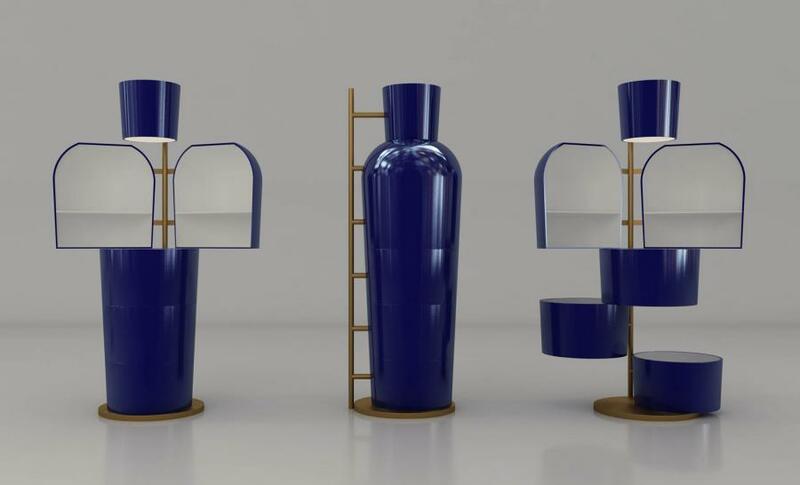 Showing for the first time this month at the Asia Now fair in Paris, the first in Europe dedicated to contemporary Asian art, will be an installation that reinterprets the traditional Chinese vase. Created by the Shanghai-based Studio MVW, in collaboration with Christie’s, the unique eight-piece collection, Blooming, is rendered in metal, but lacquered in blue and white and supported by geometric brass frames. Cleverly integrated doors, drawers and rotating components offer storage, while one vase unfurls into a playful pendant. 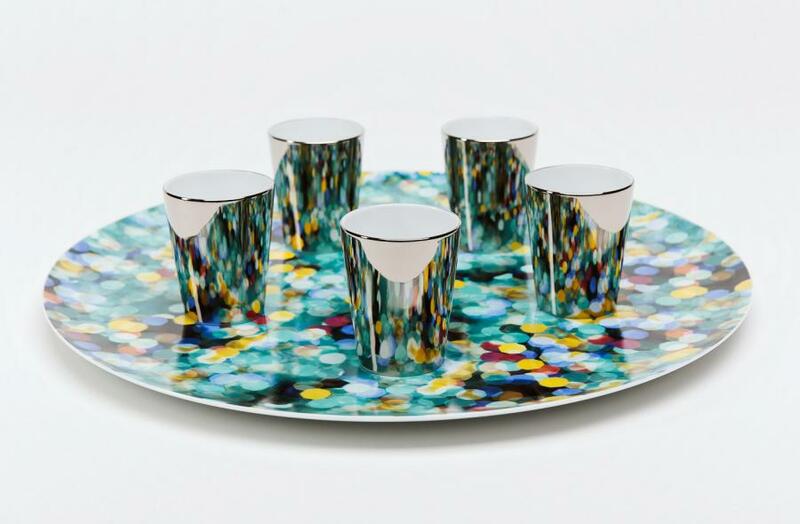 Yayoi Kusama and French porcelain manufacturer Bernardaud have collaborated to produce porcelain cups, saucers and platter sets for The Broad, in recognition of the Japanese artist’s travelling exhibition, ‘Infinity Mirrors’, which opens at the Los Angeles museum next week. The exhibition celebrates Kusama’s 65-year-long career, and the porcelain designs pay homage to the heart of Kusama’s artistic practice: her frequent use of mirrored rooms, and coloured dots. We’ve discovered a new bear necessity. Called upon by Tuscan furniture company Edra to create a striking piece to celebrate its 30th anniversary, Italian designer Francesco Binfarè, a long-term collaborator of the brand, chose to address both comfort and climate change. 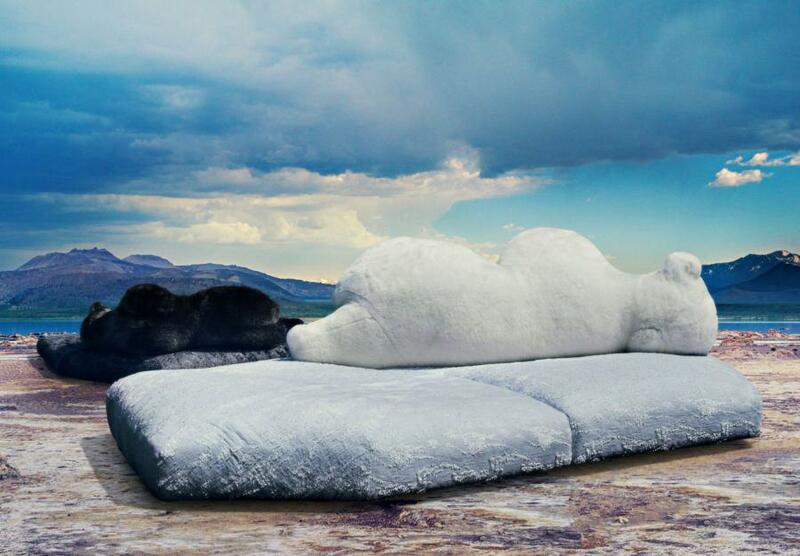 His ‘Pack’ sofa references a polar bear lying astride an ice floe and draws attention to the environmental plight of the Arctic. Available in white and black versions (representing day and night), the sofa features a roomy seat with a backrest that resembles a lifesized polar bear. The seat is upholstered in a specially developed fabric that mimics icy textures, while fake fur covers the bear. We can’t think of a cooler thing to snuggle up to this autumn. 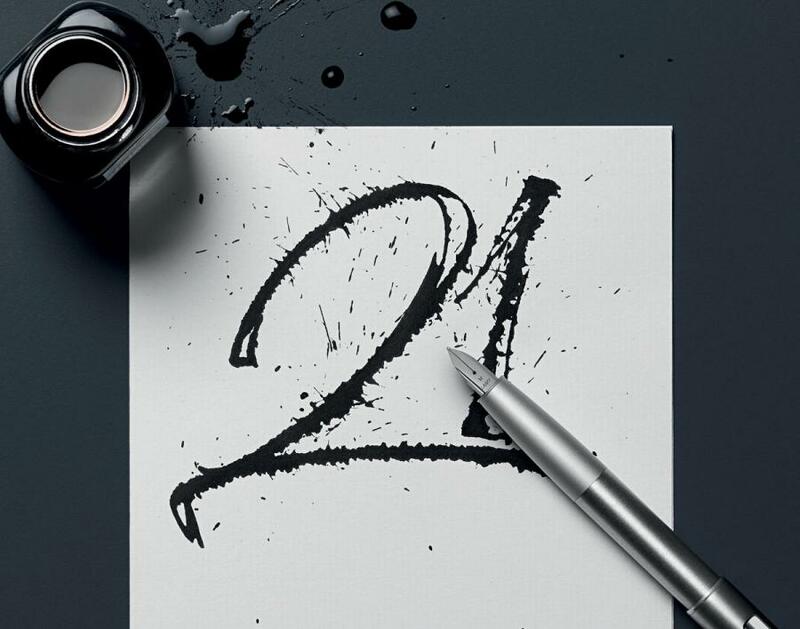 Sleek, silky smooth yet superbly sturdy – the new Aion pen range from German writing instrument brand Lamy is a scribing sensation. 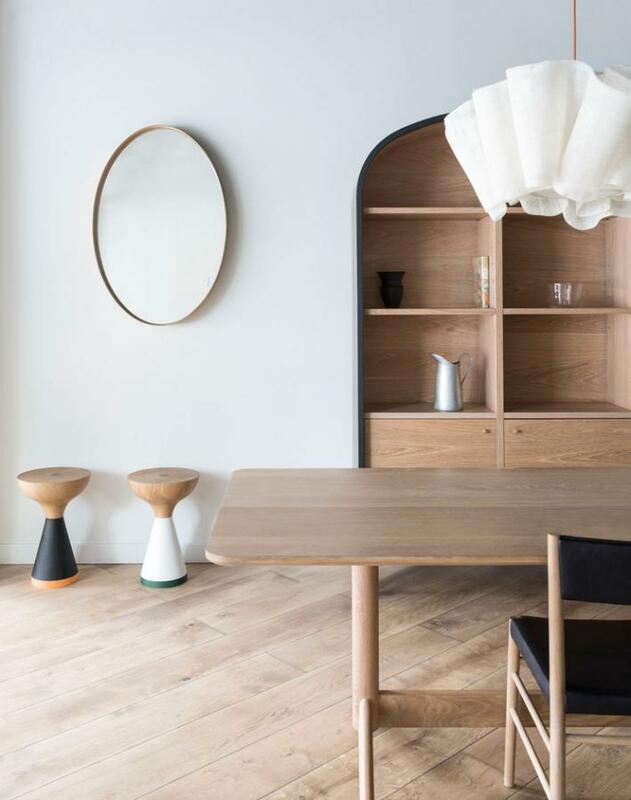 So it will come as no surprise that the hand behind it is British designer Jasper Morrison, who, over his 35-year career, has applied his distinct brand of minimalism to everything from home accessories and furniture to transport and technology. The Aion range is one of Lamy’s simplest designs to date, but it’s the one that packs the most innovation. Lamy developed a new manufacturing process to create the seamless body and cap combo and the double matte finish that highlights the grip. The well-proportioned case, cast from a single piece of metal, is an industry first, while the pen also features an exclusive new nib shape. Available in two metallic shades (black and olive silver), and in fountain, ballpoint and rollerball versions, the Aion is a quiet but much welcome revolution in the world of handwriting. 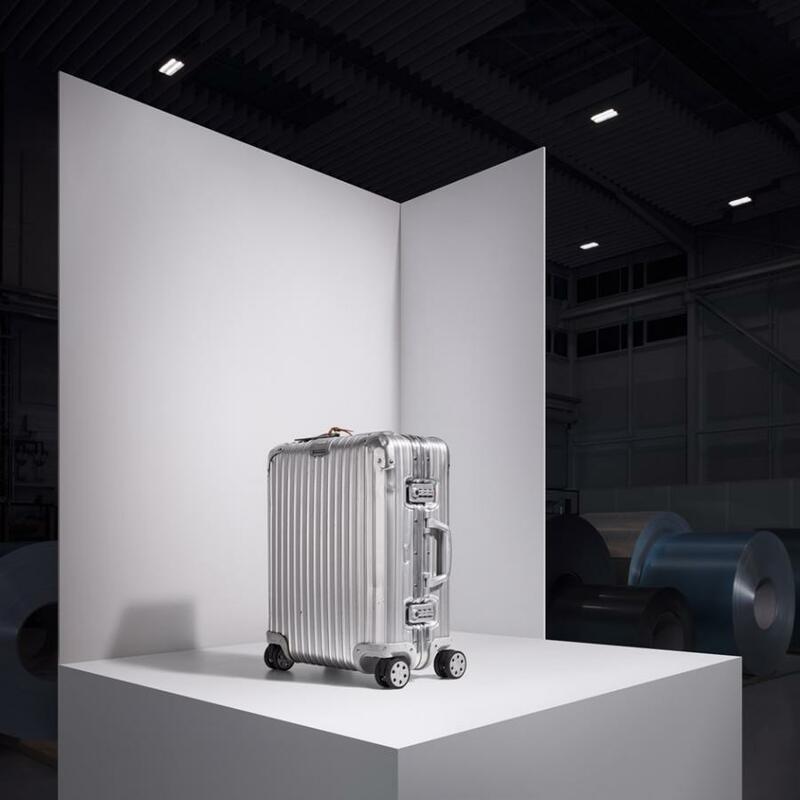 This year, luxury German luggage expert Rimowa celebrates the 80th anniversary of its signature aluminium case. To mark the occasion, friends of the brand offer an inside look at their own aluminium luggage, in a striking new digital campaign – the brand’s first. As of today, pictures taken by German photographer Frank Hülsbömer will be presented across Rimowa’s digital channels, alongside travel-themed musings provided by the cases’ owners. ‘I spent much of the early 1990s carrying over 30 books by Robert Walser with me on night trains across Europe,’ writes Hans-Ulrich Obrist. ‘My suitcase was a bit like a portable library.’ Fashion designer Virgil Abloh, olfactory innovator Frederic Malle (case pictured) and tastemaker Martha Stewart are among the jet-setters who have invited us to pay public homage to their carry-ons. Tassels and trims are making a return to interiors. Far from being the style we associate with 1970s suburbia, however, 21st century fringing cuts a new sort of dash, taking on different proportions and functions. There are floor-sweeping fringes on Cristina Celestino’s tables for Editions Milano, as well as her cabinets for Durame. 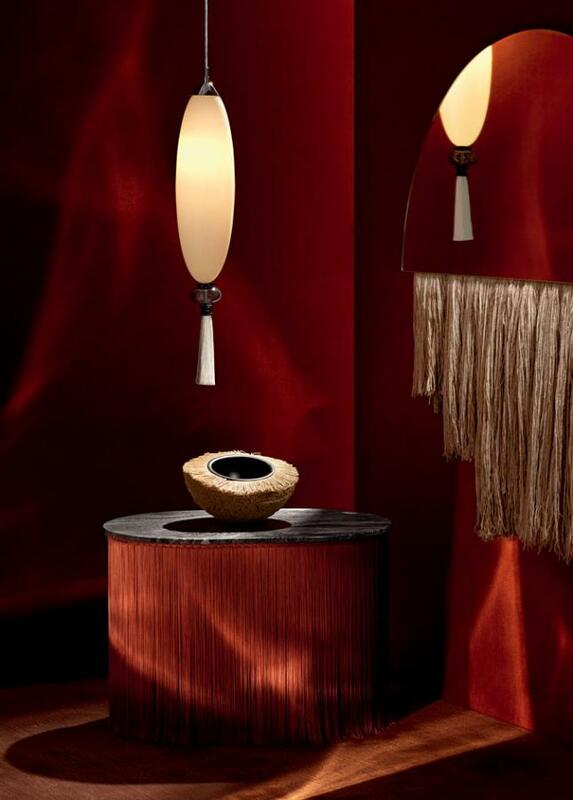 Mirrors by Ben & Aja Blanc sport threads cut into graphic-shaped manes, Marcel Wanders has embellished his pendant lights for WonderGlass with tassels, while Cristian Mohaded’s ‘Ninho’ bowls for Gallery Bensimon wear a thick pile of threads. Finally, we have licence to skirt around the subject. Tatty Devine’s statement acrylic jewellery sits alongside ceramics by Emma Alington in a new shop stocking pieces by some of London’s most talented design alumni from the University of Arts London (UAL), which is madeup of half a dozen colleges including Central Saint Martins and Chelsea College of Arts. 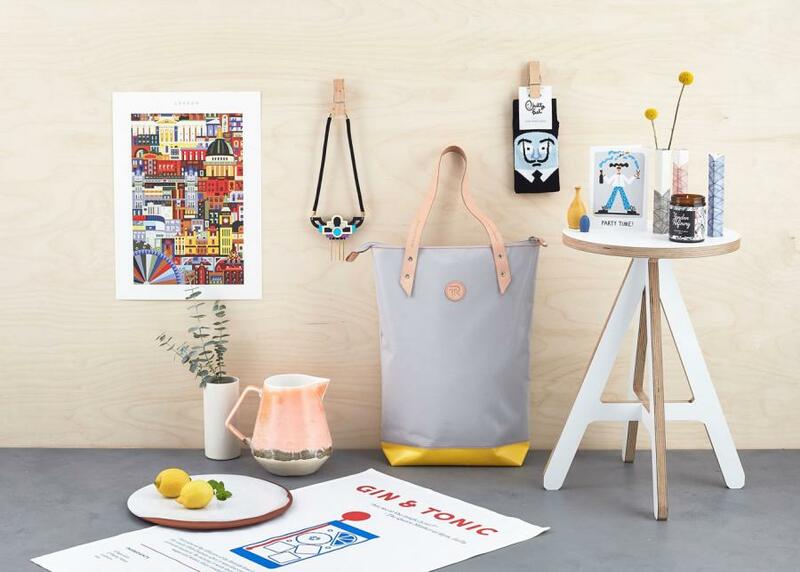 At Not Just a Shop, design-savvy shoppers can pick up cards, stationary, bags and limited edition prints. Proceeds from the shop will support the UAL’s enterprise programme. And graduates can turn up to for talks and workshops aimed at helping their careers, proving that it is Not Just a Shop. For his autumn collection, Achille Salvagni moved away from Roman design, this time honing in on the calm, minimalist aesthetic of the East. An homage to the Japanese city of Kyoto, the new collection – on view at his Mayfair atelier until mid-January – brings natural materials such as bamboo, tatami and onyx to the fore in a warm setting. Highlights include oversized wall sconces and an inviting upholstered armchair that takes its design cues from a bamboo basket chair by artists Isamu Noguchi and Isamu Kenmochi. 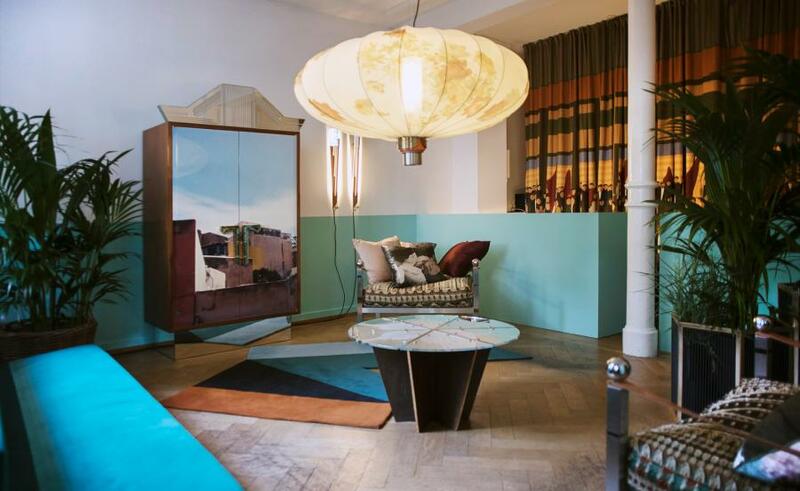 Milan design duo Dimore Studio have transported their eclectic aesthetic to a new gallery in the heart of Zurich. Brand New World Salon is centred on a 40 sq m space, which will be regularly reimagined by a single designer or studio. For the gallery’s inaugural exhibition, Dimore Studio have conjured a palazzo atmosphere in the space with new pieces from their collection launched at Salone del Mobile earlier this year. There’s a nostalgic nod to mid-century design with a modern bent: a mahogany wardrobe, for example, features a digitally printed cityscape and a mirrored base. Also part of the display is Dimore’s recently launched textile collection. Until 28 October. 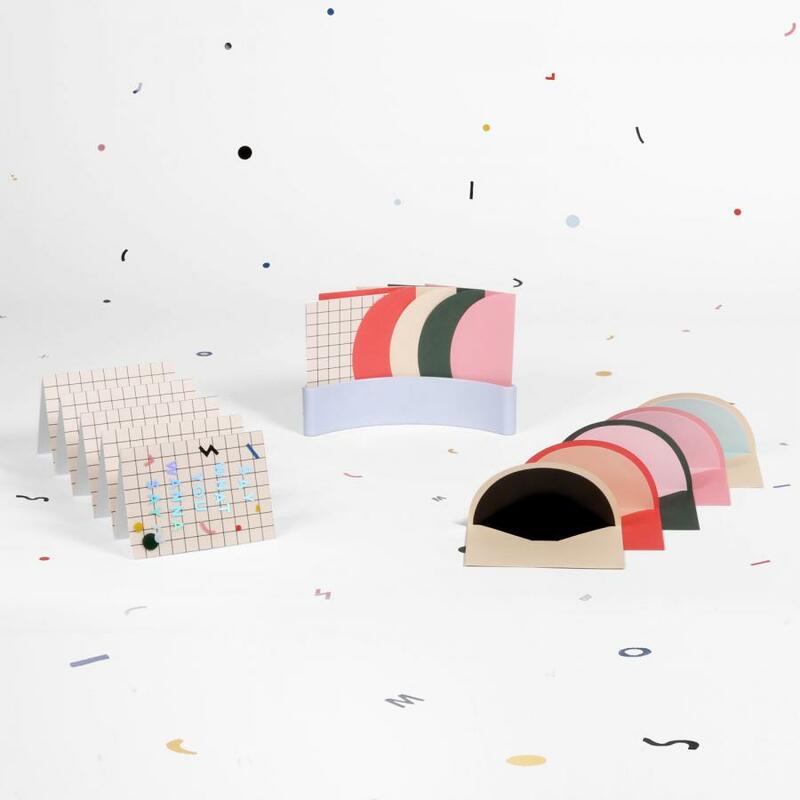 Belgian architecture and design studio Felt is making the most out of communal spaces with a colourful ten-part furniture series for the lobby of M-Museum in Louvain, Belgium. The mobile aluminium pieces can be easily wheeled into different arrangements, like a form of architectural Lego. Within the museum, the collection is being used for a makeshift bookshop, information desk and children’s corner. New brand Pentatonic offers an alternative in flat-packed furniture. Made entirely from post-consumer waste, the company’s debut collection is based on the ‘Pentatonic AirTool’ system – a range of modular tables and chairs made from felts, ultra-strong textiles, and even hand-finished metals. Spearheaded by Jamie Hall (ex-NikeLab) and Johann Boedecker (formerly of Miniwiz), Pentatonic offers a lifetime buy-back guarantee on every product, whereby they will purchase the item back instead of it being thrown away. 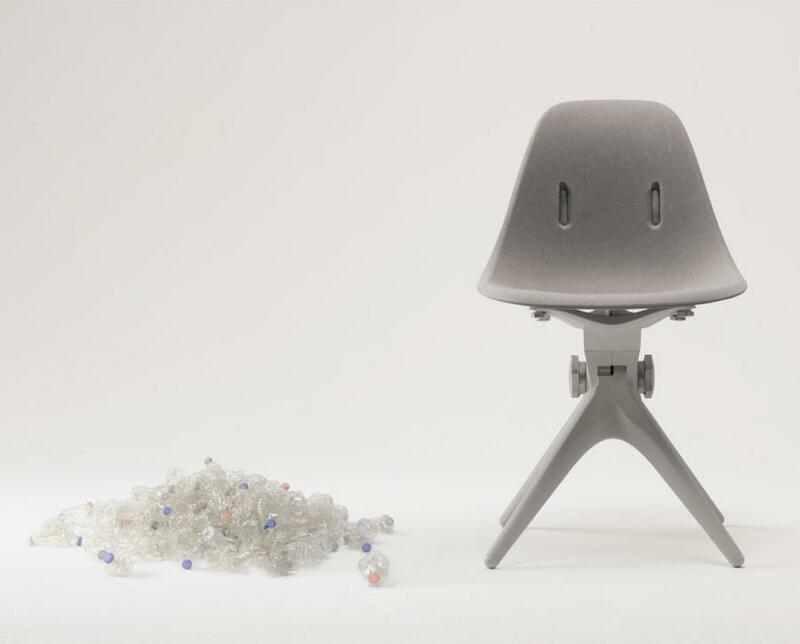 Accompanied by a smaller collection of glassware, the ergonomically designed products require no tools to assemble – a hands-on approach to zero waste. Ahead of its outing at Maison et Objet next week, French design studio Petite Friture has created a geometric backdrop for its new collection, titled ‘A(bs)traction’. 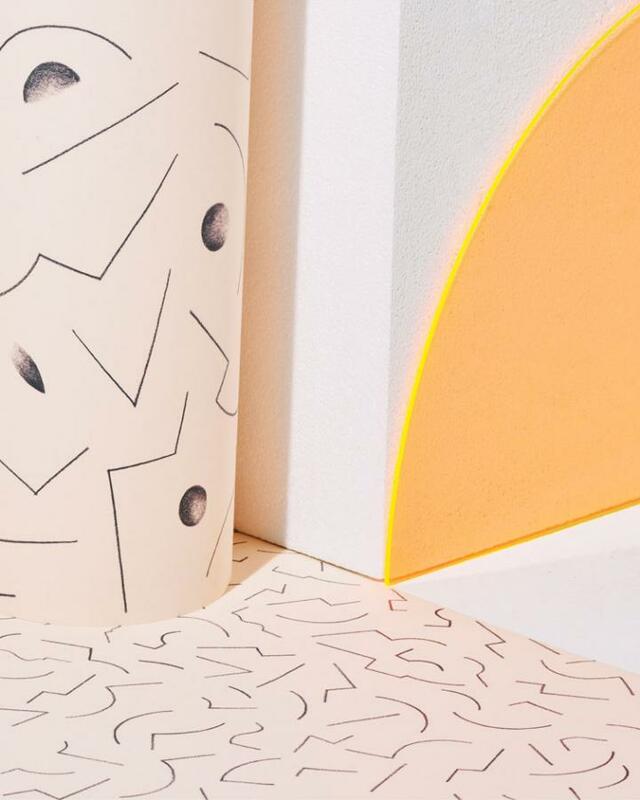 The display nods to optical illusions, playing around with the geometric lines in the range that includes new wallpaper designs by Leslie David (pictured left, ‘Constellation 1 and 2’ by Leslie David). The graphic patterns in David’s prints were inspired by modernist architecture and follow on seamlessly from the charming illustrations in Mexico-based Ana Montiel’s ‘Utopia Ascending’ wallpaper pattern (right). 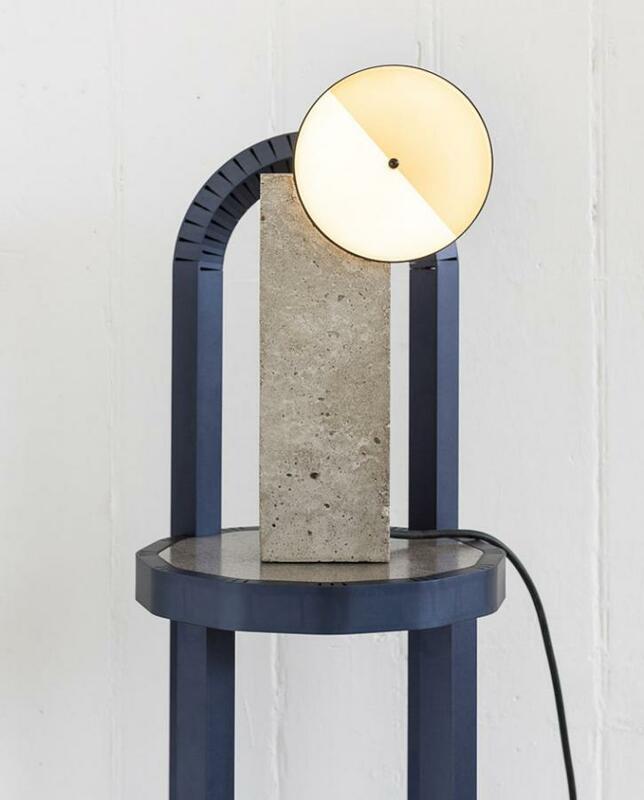 Other recent additions to the collection include lighting by Sylvain Willenz and Celia-Hannes that will bring the layered ‘A(bs)traction’ to life at Petite Friture’s stand in Paris. Artisan furniture and homeware label RH has gone back to basics for its newest arrivals in the RH Baby & Child and RH Teen textile tangents. Inspired by menswear designs, the teen collection is made from soothing cosy jersey, with patterns of muted greys and navy accompanied by ‘rock on’ symbols on the washed percale sheets. The autumn collection also features yarn-dyed tonal stripe bedding, with ombre shading and a unique wash to enhance its ‘inherent softness’. 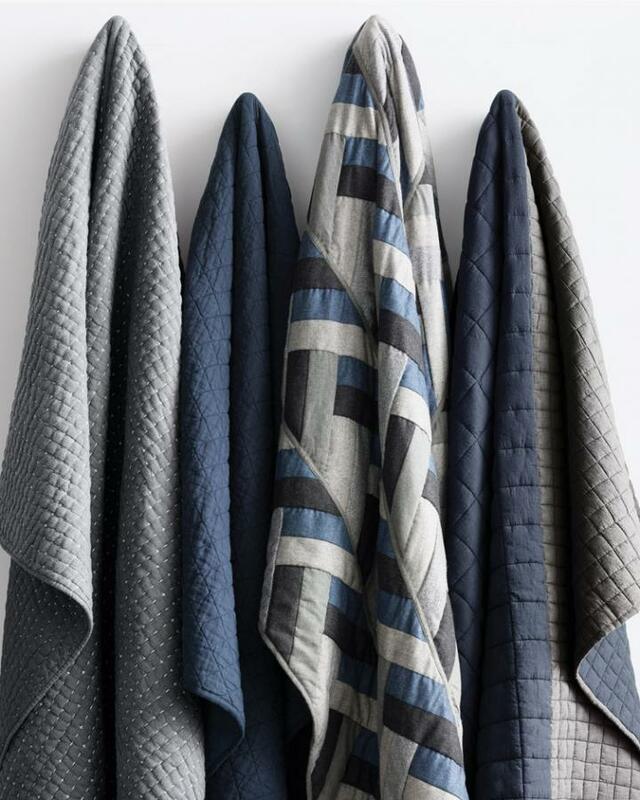 The baby and child ranges slot in comfortably with its older siblings – with patchwork quilts in a ‘natty herringbone pattern’ lattice, in neutral hues of navy and charcoal. Tailor-made from 100 per cent polyester fill, and perfect from the cot to the double bed, RH Modern’s younger collections mirror the parent brand’s minimalist finishings and fit in effortlessly with the rest of the home. Every New Yorker will attest that space comes at a premium in the Big Apple. 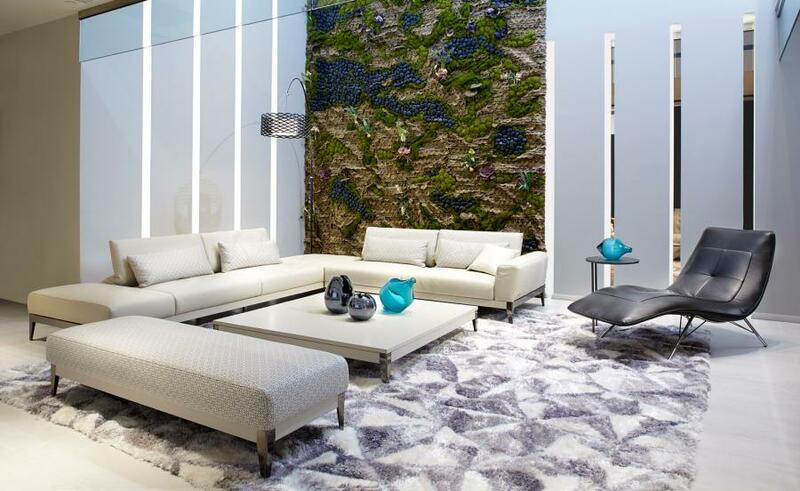 The rule also applies to the French furniture brand Roche Bobois, who has recently unveiled a sprawling three-floor showroom located in Manhasset, a well-heeled enclave on Long Island. 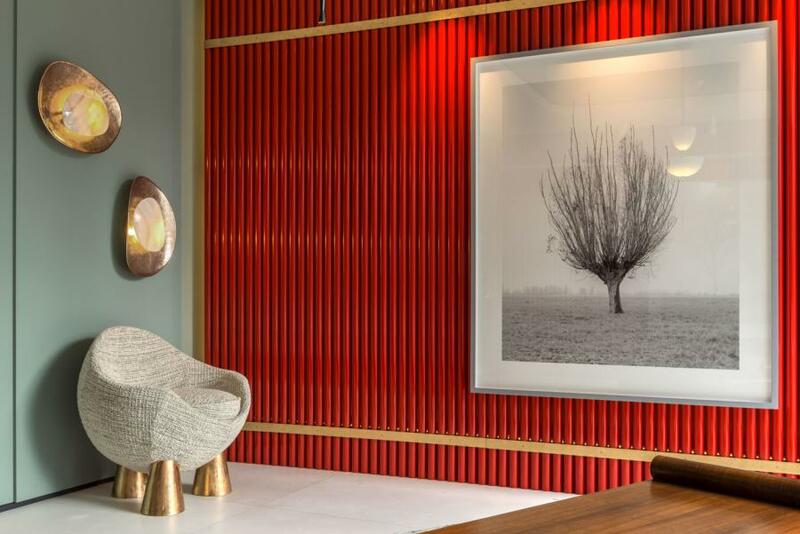 The 8,000 sq ft space has been designed by Jacqueline Hopfer, the company’s head of interior architecture and also daughter of the iconic designer Hans Hopfer. Decked out with the brand’s most notable pieces, a living wall that spans two storeys, custom wallpaper, suspended ceilings and a contemporary flair throughout, the new space shows the amount that can be done once you leave Manhattan. American textile house Maharam is celebrating a fruitful 15-year-long partnership with British fashion designer Paul Smith. The playful new range follows on from previous collaborations that include iconic stripey textiles to more experimental dominoes and dice wallpapers. The new collection is available in nine different colour-ways and takes its cues from a woven silk necktie from Paul Smith’s SS17 collection. 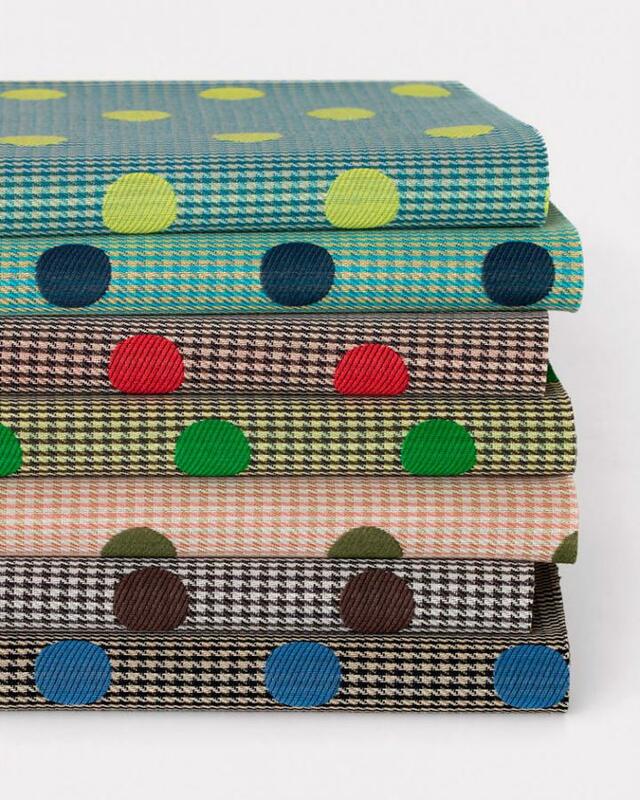 Titled ‘Dots’, the fabrics merge houndstooth and polka-dot patterns and are named after foodstuffs, including blueberries (pictured right), cacao and avocados. What better way to celebrate? Israeli natural stone company Fervital has gained a striking new grey-scale showroom in Tel Aviv, courtesy of Levin-Packer Architects. ‘We wanted to create an imaginary place,’ the local practice explains. ‘It can be a private villa, a loft, a pavilion, a boutique hotel where all people can identify with’. 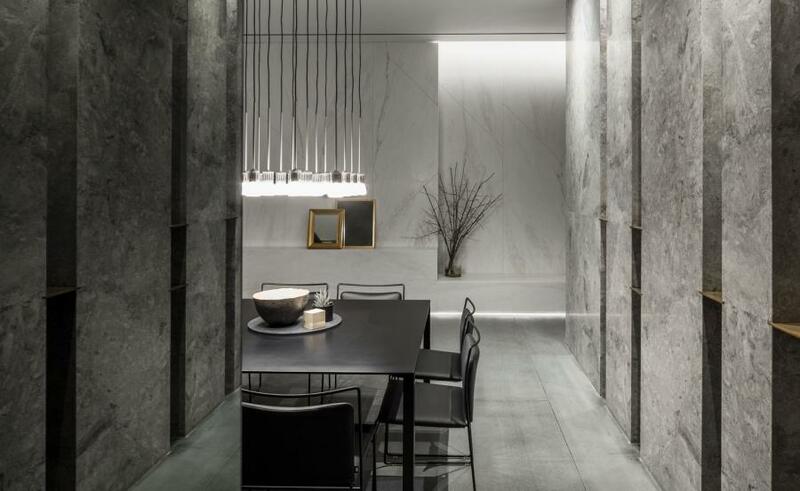 The 200 sq m space is subdivided into five ‘rooms’ by a selection of marble and granite partitions. 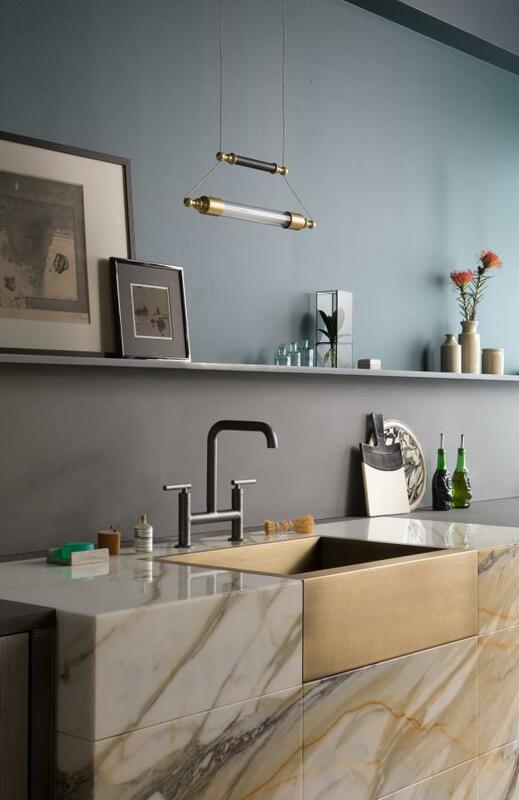 Also covering the walls, floors, shelves (and the bespoke bathtub) is a refined selection of stone features with a range of juxtaposing sediments. The gallery-style space is a grand celebration of the subtleties of colour, veining and texture of naturally occurring stones thanks to the architect’s imaginative use of material. 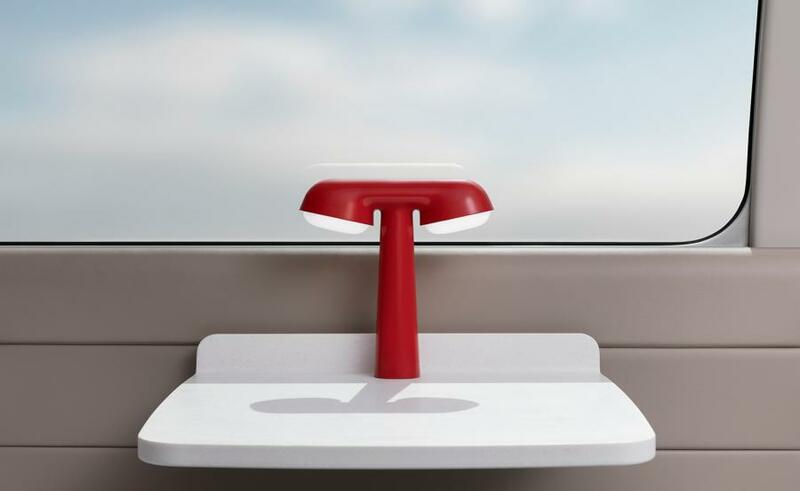 As part of the new high-speed train linking Paris to Bordeaux, Euroduplex l’Océane, French designer Ionna Vautrin was asked to imagine a new table lamp. The ‘Lampe SNCF’ features two light sources, emitting a welcoming glow on board the carriage, which accompanies each passenger through their journey. A familiar form with simple geometric curves is enhanced by French-flag reds and blues – making for a luminous, patriotic travel companion. Sydney-based architect Hannah Tribe is adept at delivering inspired designs harnessed by sustainable and aesthetic principles. Her award-winning practice, Tribe Studio, straddles both residential and commercial projects with a unique rational playfulness and keen focus on the finer details. 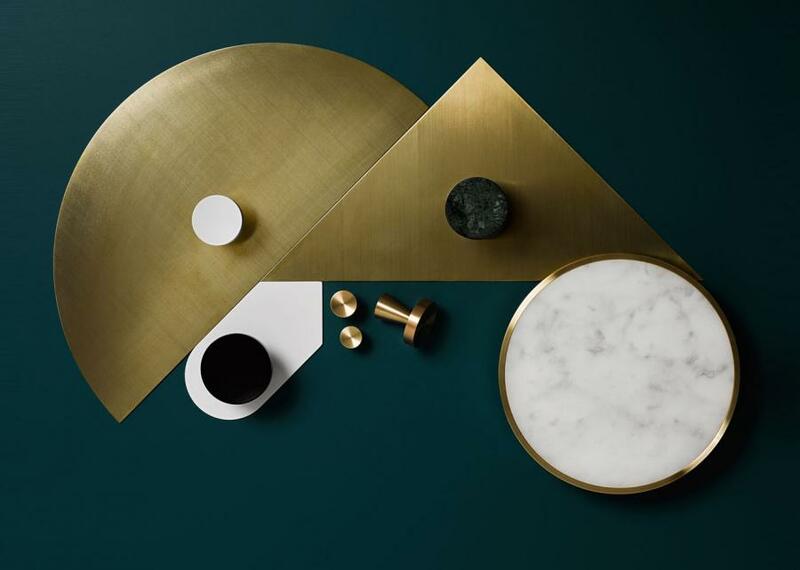 Together with metal craftsman, Adam Corry, she has created ‘BIT PART’, a collection of knobs, handles and joinery pulls predominantly fashioned from solid marble and brass. ‘We want “BIT PART” hardware to feel cool and heavy, to register human touch and get better with age,’ says Tribe. Each unit possesses minimal moving parts with a weighty durability. Stainless steel and bronze accents merge with unusual marble shades and striking geometric plate patterns in pink, blue, black and red, modernising the classic elements with Tribe’s signature quirk. 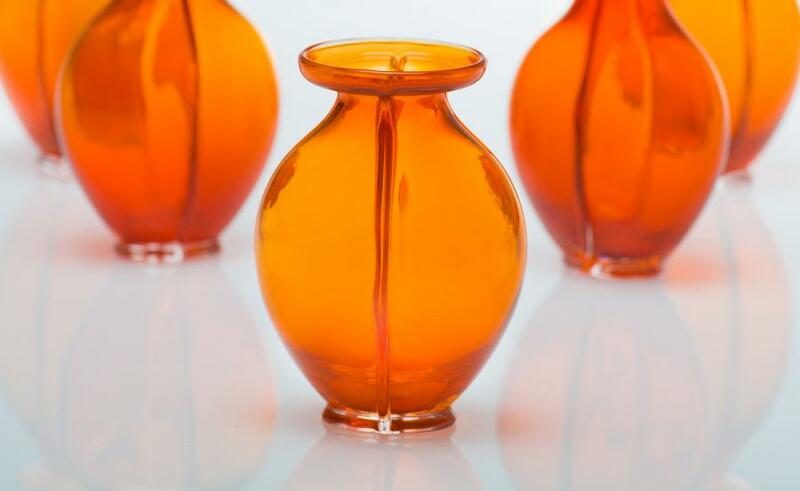 In celebration of His Majesty King Willem Alexander’s 50th birthday, Dutch designer Kiki van Eijk has been invited by Royal Leerdam Crystal to redesign the ’Oranjevaasjes’ (’Orange Vase’). Dating back to 1927, the vase was originally designed by Chris Lanooy on the occasion of Princess Juliana’s 18th birthday. The strong vibrant orange hue was achieved by accident by Lanooy, who initially intended the vessel in red glass. Following the long Leerdam history, the occasional vessel is mouth-blown in Cristal Superieur, the purest crystal that can be found in Europe. The design draws inspiration from the seasonal blooms of warm orange tulips and is a welcome extension to the original ’Oranjevaasjes’ series. The vase has been produced in an edition of 1000, the first of which has been signed and presented directly to the monarch. 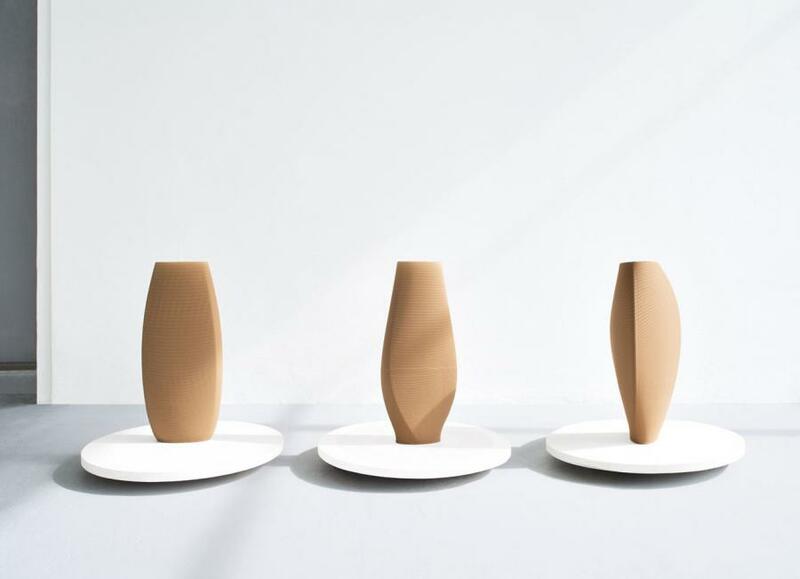 Bridging the gap between fashion and design, Cos has partnered with Dutch designer Olivier van Herpt on a cutting-edge series of ceramic vases. Like most of the fashion brand’s commissions, the six-piece collection draws inspiration from the particular shapes, sizes and textures of Cos’ S/S17 collection. The Design Academy Eindhoven graduate created the collection using a 3D printing technique, sculpting each vase in layers to form unique designs with alluring, random imperfections. Van Herpt seeks to reconnect manmade design with a human touch. This month sees South Kensington’s pioneering creative hub SEEDS launch its fourth exhibition. ‘Support/Surfaces*’ is a showcase for experimental and limited edition design. 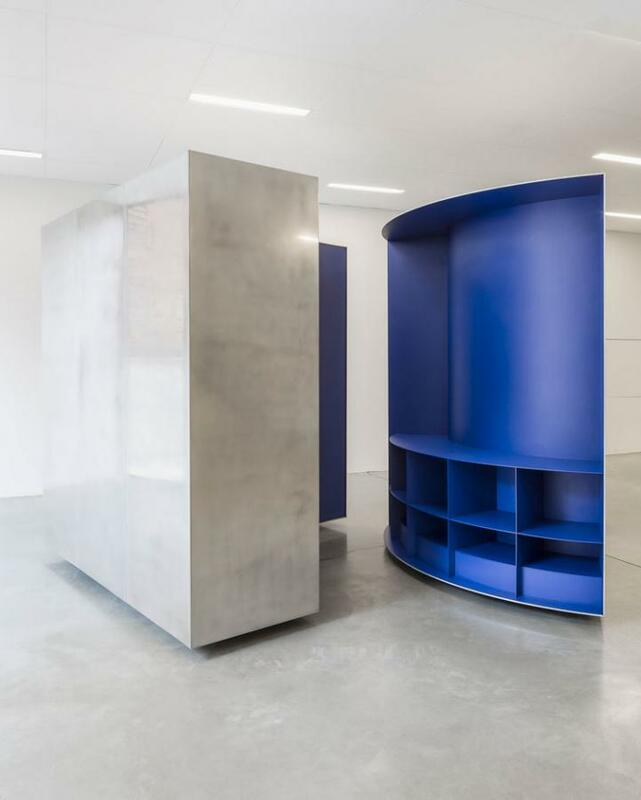 A stellar line-up of talent includes French designer François Dumas (playing the role of ’humble protagonist’ and curator), Olivier Van Herpt, Oeuffice, Formafantasma and Sabine Marcelis, to name a few. The aim is to provide a platform upon which unique, unusual designs can be slowly considered and understood, outside the realm of busy, conventional design fairs and bustling events. Until 20 May. The latest installation at St James’ Market Pavilion – designed by Studio Weave last year – takes inspiration from King Charles II, who displayed cages full of exotic birds in St James’ Park. Overseen by design agency dn&co in collaboration with Argentinian studio Guardabosques, the contemporary version features handcrafted paper birds from all corners of the globe. Each one displays a plumage in patterns inspired by local fashion houses and craftsmen – houndstooth, check and polka dots abound. 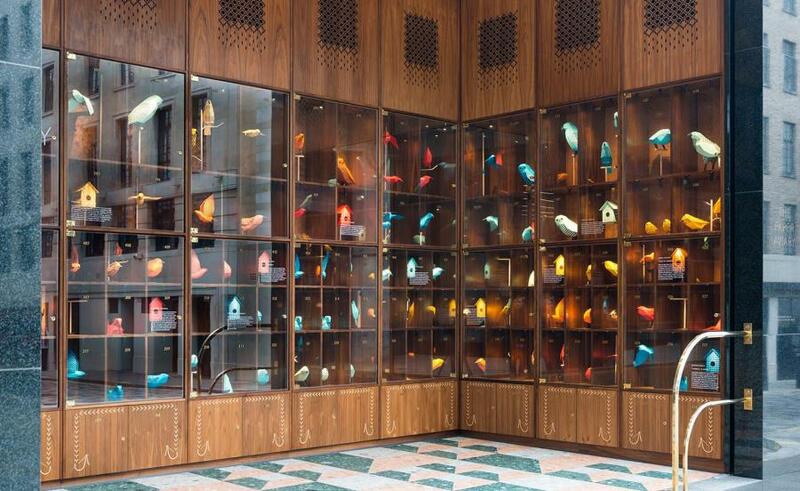 As the King’s birdcages did in the 17th century, ‘The Paper Aviary’ brings colour and eccentricity to this increasingly design-oriented area. Until May 2017. 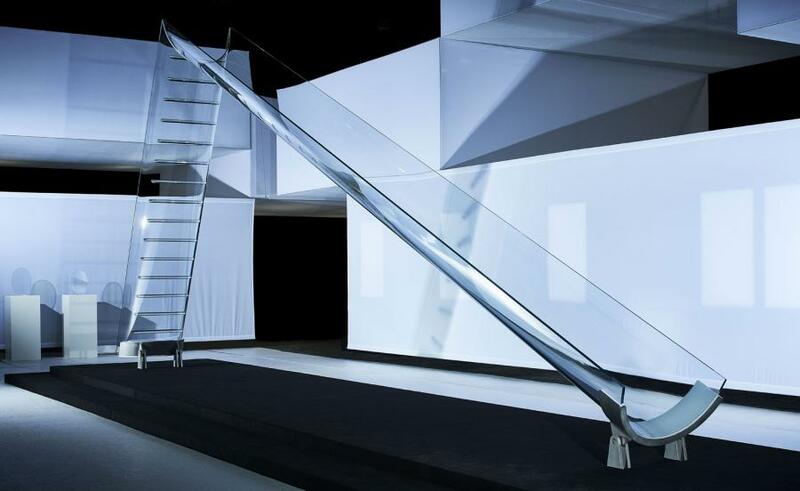 A striking glass construction, the Vidre-Slide is the brainchild of British design practice Eckersley O’Callaghan. 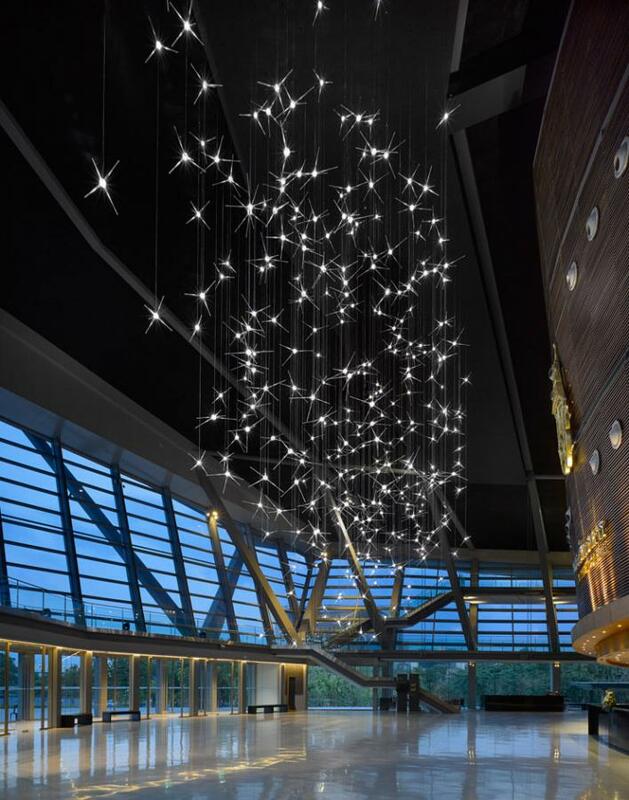 Its design merges cutting-edge engineering with Spanish company Cricursa’s dynamic materials. The installation is a playful and artistic addition to Cricursa’s workshop in Barcelona. With a four-metre-high drop, it’s not for the faint-hearted.